As a small, creative business with a unique voice and story, you want people to hear what your brand has to say and offer. The brand experience has become king in the marketplace, so you want to be sure your brand is authentic. That being said, it’s hard for some to latch onto the idea of advertising in social media because it may seem like the brand is not authentic. At the end of the day, you want people to see you as more than just a product or service. You want people to believe in your product and see it as a brand experience. As I’ve talked about before in previous posts about Facebook and Twitter, you have to invest in ad space in order for your brand’s voice to be heard among the sea of social voices. Organic follows and engagements are starting to dwindle as more people flood the social media landscape. If you are a unique brand and you want people to hear your Twitter voice, then I highly suggest investing a few dollars into Twitter ads. 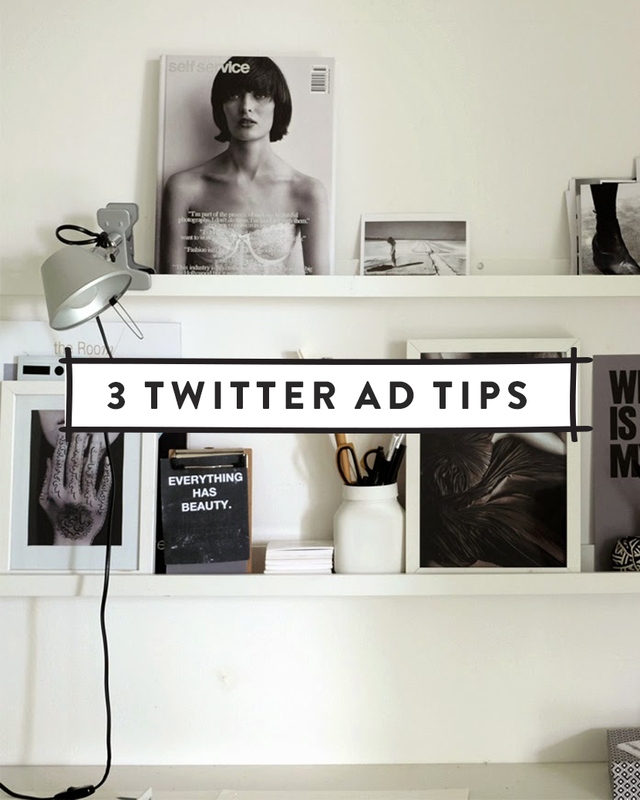 Here are 3 steps to help you on your Twitter ad journey. 1. Choose your Twitter ad campaign type. There are 3 types of Twitter ads that you can choose to fit your brand’s goal: Promoted Trends, Promoted Accounts, and Promoted Tweets. If you decide to invest in “Promoted Trends”, Twitter will put your brand at the top of the “trending topics” box. It will say promoted trend, so audiences will know. When someone searches a trending hashtag, you want your brand to be in that discussion. Promoted trends spark discussion. If you want to gain more followers, then you should choose the “Promoted Accounts” option. Twitter always suggests users for people to follow based on who they already follow. With “Promoted Accounts”, you buy your way into the suggestion box. People can choose whether or not to follow you, Twitter doesn’t actually give you the followers. You only pay for each person who chooses to follow you. You can choose who you want to target when you set up your campaign. The last option is “Promoted Tweets”. These are tweets that are also ads. They aren’t the intrusive banner ads that you see on websites and often ruin content. They can flow naturally into the Twitter feed. This is your chance as a brand to connect with your audience with an authentic voice. There are many times when I click on a tweet that is an ad because it doesn’t seem like an ad even though it says “promoted ad”. Most of the ads that I encounter are little 140 nuggets that have a lot of flavor. Your “Promoted Tweets” show up in search results for specific terms, in timelines of those who follow you, and in timelines of those who don’t follow you but share similar interests. When you set up your campaign, you can target interests, audiences, and demographics. 2. Use Twitter analytics to monitor your campaigns. Yes, I said campaigns. If you don’t know which Twitter ad campaign will work best for your brand, then you can set up different campaigns to run simultaneously. It’s important to monitor the campaign’s analytics to see how each campaign is doing. This is a new feature that Twitter offers, and it really helps for you to hone in on your audience and your brand’s Twitter voice. If a campaign isn’t working for your brand, then you know what to do when you create the next campaign. The analytics also shows how much you spent on each engagement and follower. You see how many impressions certain tweets received, and Twitter will send you recommendations based on your analytics. It’s always important to monitor the analytics so you know what ad content works. 3. Make your tweets authentic. When you create your Twitter ad campaigns, you have to make 3-4 unique tweets that Twitter will promote for you. If you want people to engage with your promoted tweets, then I suggest leading with a question. You don’t have to ask a question if it isn’t unique to your brand’s voice. When you are asked to create tweets, this is your chance to be authentic. It doesn’t have to be a sales pitch. As a matter of fact when you are creating your campaigns, don’t create them with a sales pitch in mind. You want people to experience your brand via Twitter. Treat these tweets as normal tweets that have “promoted ad” tagged to them. Tweets that are ads are just tweets that use with a specific goal in mind. I hope this helps in your journey to create Twitter ads. Twitter ads are not for everyone, and that’s ok, but if you are looking to grow your social following in an organic way do not shy away from this option in fear of it taking away from your authenticity. Have you used Twitter ads for your brand? If so, have you seen a noticeable difference and what have you yourself learned in the process? Kate, what have you found to be the issue with your Facebook ads? Thanks for this very helpful post Taylor! I’m still learning my way around Twitter, but I will definitely keep this advice in mind for the future. Really appreciate this post! I’ve been debating between Facebook/Twitter ads and am also interested to know what issue Kate had with Facebook ads.